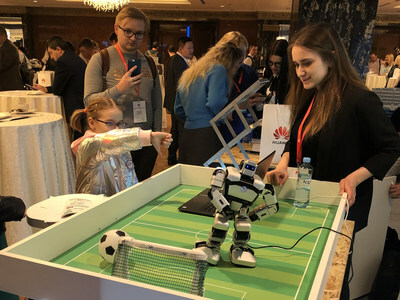 MOSCOW, March 22, 2019 /PRNewswire/ -- Huawei's Russia Partner Conference 2019 kicked off on March 21 in Moscow. Huawei's Russian customers, partners, and industry experts gathered to share the opportunities of digital transformation. Bruno Zhang, HUAWEI CLOUD BU CTO, delivered a speech titled "Technological Innovation, Intelligent Engine" at the event, sharing HUAWEI CLOUD's technology exploration and cloudification practices in Russia, and the collaboration with local partners to build a fully connected, intelligent world. In March 2018, HUAWEI CLOUD announced its official release in Russia, making it the first Chinese public cloud service provider in the country. Huawei has been in the Russian market for more than 20 years, and has developed localized O&M and technical support capabilities. It complies with security requirements, providing a commercial transaction environment for both foreign and domestic enterprises to enter other markets. Since HUAWEI CLOUD's launch in Russia, it has grown to become the country's largest cloud service provider, with the most services and fastest progress. The number of cloud services it offers increased from 20 to 50, and availability zones (AZs) increased from one to three. Leveraging its hard-core technology solution and localized service capabilities, HUAWEI CLOUD's partnership with local enterprises has accelerated the digital transformation of Russia. HUAWEI CLOUD's initial market strategy focuses on retail, e-commerce, media, and gaming industries and gains recognition from customers in these industries. At this event, some customers shared best practices of HUAWEI CLOUD solutions. Using HUAWEI CLOUD solutions, Algous, a renowned film studio, provides rendering for the film T-34. LoudPlay, a cloud gaming service provider, builds a high-performance cloud gaming platform using cloud servers and GPUs. HUAWEI CLOUD also collaborates with internal consumers to build excellent experiences for 5 million Russian users. "Cloud+AI" has become the best way for governments and enterprises to obtain digital technologies. Huawei's full-stack technology and innovative products and services will support cloud migration of enterprise services and accelerate digital transformation of Russian enterprises," said Bruno, Zhang. "HUAWEI CLOUD is committed to providing stable, secure, sustainable, and innovative cloud services to nurture an intelligent world," said Bruno Zhang. By the end of 2018, HUAWEI CLOUD had launched over 160 cloud services and over 140 solutions such as HUAWEI CLOUD Stack (HCS), SAP, High-Performance Computing (HPC), and gaming; added 1500 new applications to the Marketplace; and developed over 6000 partners. Additionally, HUAWEI CLOUD had unveiled regions in Hong Kong, Russia, Thailand, and South Africa and had launched 40 AZs with partners in 23 geographical regions worldwide, providing enterprises with global connections and services. In the past year, HUAWEI CLOUD has established partnerships with more than 100 Russian enterprises in various industries. Based on Russia's developed software industry, HUAWEI CLOUD collaborates with local software vendors, developing more than 20 localized solutions, including Web Application Firewall (WAF), cloud gaming platforms, film rendering, and disaster recovery. 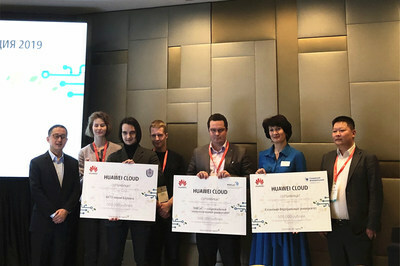 During the conference, the HUAWEI CLOUD Partner Network (HCPN) was launched to build a better local ecosystem for Russian partners. HUAWEI CLOUD's integration with solution partners enables customers, in various industries, to migrate their services to clouds. Partners dedicated to developing innovative services will provide customers with products supported by HUAWEI CLOUD technical support. Bruno Zhang stated that building a cloud ecosystem with global partners has always been a key factor of Huawei's cloud strategy. HUAWEI CLOUD has not only a solid technical product basis but has also developed many local partners to nurture an intelligent world through open collaboration. HUAWEI CLOUD aims to gradually introduce more advanced technologies into Russia, working with partners to provide effective opportunities for more enterprises. HUAWEI CLOUD began a strategic cooperation agreement with Russian Universities to help build a digital model by donating cloud resources. With the theme of "Grow with Intelligence", HUAWEI CLOUD is committed to integrating resources to exert a multiplier effect, accelerating ecosystem upgrades through technologies, and working with Russian partners to build a prosperous cloud ecosystem.